Edgar Snyder & Associates has once again been voted one of the Top Places to Work in Pittsburgh. This honor is based on surveys that encourage employees to anonymously rate their workplaces based on a variety of characteristics. Comments from our attorneys and staff cited many benefits to working at the law firm, including activities to promote employee health and wellness as well as a commitment to community service. At Edgar Snyder & Associates, we are proud of these awards. We believe the mark of a great business is happy, productive employees. For the past 30 years, Edgar Snyder & Associates has built a culture of excellence and earned a reputation for taking care of clients and giving back to the community. We’ve built a team of professionals with laser focus on winning clients the resources they need to rebuild their lives. That team is comprised of high-achieving lawyers, paralegals, legal assistants, and other team members who provide a personal touch. 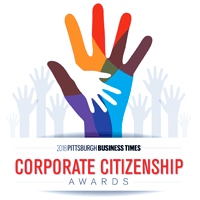 We’re consistently ranked among the best places to work in Pittsburgh, and we strive to recognize and reward the focus and drive of our employees. We need caring, driven, fast-learning legal assistants who want to make a difference for our clients. Our legal assistants directly support our attorneys and make them more effective in their work on behalf of the firm's clients. Organizes and maintains client files. Coordinates ordering of employment and other relevant records. Receives and processes notices for client cases. Records and documents on all relevant calendars. Receives, reviews and properly disposes of all correspondence, using judgment and discretion. Processes and properly records verbal and written instructions from attorney and/or paralegal. Assists with opening, maintaining, and closing case files, ensuring accuracy and completion. Enters all relevant case and client information into firm's case management system. The ideal candidate learns quickly, has great initiative, and is compassionate and responsive to our clients’ needs and shifting priorities. He or she is focused, organized, proactive, and has excellent customer service and communication skills. Familiarity with federal court filings is helpful, but not required. Two years' administrative experience in a law firm or in-house legal department preferred. Able to support preparation of legal documents, contracts, amendments and other related items with strict confidentiality. Detail-oriented, organized, motivated, meticulous, practical and flexible with a "get-it-done" attitude. Able to effectively handle multiple and shifting priorities and maintain professional composure. Able to work in a fast-paced, high energy and team-oriented environment. Able to produce high quality work under pressure and within tight deadlines. Resourceful self-starter who takes initiative to quickly assimilate and apply new knowledge. Excellent interpersonal skills; able to develop relationships with coworkers, clients, and colleagues. Able to work independently and as part of a team; resolves issues, manages conflict and solve problems. Exhibits behavior consistent with the Firm's core values. Strong computer skills including MS Office applications, Adobe Pro, and other software as required. We are looking for a curious, driven Investigations and Intake Specialist who understands their role in supporting our attorneys and staff as they help our clients, and provides impeccable internal and external customer service. Obtains and reviews initial case documents. This includes investigative research, (social media, background checks, news reports, or databases). Uses these to guide the investigators' appointments and actions. Communicates with Intake Department and with field investigators to assign and coordinate new client signups. Uses the Investigative Helpdesk to pro-actively initiate, review, request, track and follow up with investigators to ensure that all required assignments are completed and materials are available with strict adherence to deadlines. Escalates items as needed to the Investigations Manager. Works with the Investigation Manager to determine follow-up needed on initial case documents. Pro-actively and independently compiles additional information from reports and database searches for the investigator. Communicates effectively with internal and external clients and team members; conveys information clearly and in a timely manner. Employment law cases: performs research on companies and individuals. Requires ability to follow case law, news reports, court dockets, and similar documents. Applies analytical skills to determine promising areas of research. Will be cross-trained to take Intake calls: receives and reviews calls and web inquiries from potential ESA clients. Gathers and inputs client information; interacts with intake attorneys to make case decisions. Acts to complete missing or unknown information, maintains 24-hour turnaround on unresolved calls, and forwards all calls to the appropriate attorney (phone or email). Works with the Investigations Manager to record and file all investigative materials. Promptly identifies and shares issues. Provides administrative support including transcribing dictation, preparing correspondence, making travel arrangements, answering phones, recording messages and other activities. The ideal candidate learns quickly, has great initiative, and is responsive to internal clients' needs and shifting priorities. He or she is focused, organized, proactive, and has excellent customer service and communication skills. 1 year of experience in a role that requires high initiative and excellent research and customer service skills strongly preferred. An equivalent combination of training and relevant work experience may be substituted for training/experience on a year-for-year basis. Excellent attention to detail; ensures that work product is complete and meets firm standards. Proactive and high initiative; holds themselves to a high standard of excellence. Reviews work product to ensure that it meets or exceeds the client's needs and expectations. Strong computer skills including MS Office applications (Word, Excel, Power Point), social media, internet research, e-mail, database management and scheduling programs. Able to effectively handle multiple and shifting priorities and maintain professional composure while under stress or conflict. Outstanding organization skills. Process-oriented. Able to keep track of hundreds of outstanding items for dozens of cases as the same time with 100% knowledge and accuracy. Strong professional presentation, verbal and written communication skills. Able to effectively communicate information. Excellent interpersonal skills; able to develop relationships with coworkers, customers and colleagues. Builds trust, honors commitments and treats all with respect. Uses those skills to accurately accomplish tasks by the deadlines. Able to work independently or as part of a team. Resolves issues, manages conflict and solves problems. Demonstrates strong sense of customer service. Promotes a collaborative and productive work culture. We are looking for a customer-oriented IT intern who sees the big picture and wants to help make a difference for our clients – people injured through no fault of their own. Troubleshoot issues with PC towers, laptops, and phones both landline and mobile. Provision new PCs, phones, and software for deployment to end users. Assist in: helpdesk ticket management, conference room management, equipment logging, and organization IT related documentation. This will allow you to grow in both technical and communication skills, and prepare you for a career in technology. Hours are fairly flexible, but we're looking for a time commitment of 20 hours/week. Edgar Snyder & Associates is looking for three detail-oriented Firm Services Group interns for summer 2019. Assists the department and firm with special projects, reports and other support requests. Provides administrative support, including typing, filing, preparing correspondence, mailing, inventory requests, photocopying, faxing, collating, answering phones, delivering messages and other activities. Would you like a chance to work at one of the most well-branded companies in western Pennsylvania? Edgar Snyder & Associates, a law firm helping injury victims, is looking for a writing intern to be an integral part of the firm's marketing team. This is a great way to build up your resume, experience, and portfolio. The internship will offer much more than just fictional class projects— you'll see your work published. This is a flexible, on-location position in our downtown Pittsburgh office during the summer months. We are seeking an intern to work three days a week, with the opportunity for more days as work allows. This is a writing-intensive internship: a cover letter and previous writing sample is required as part of your application, and you will complete a writing test before your interview. This internship is best suited to an undergraduate student majoring in writing, marketing, communications, English, literature, media, journalism, or a related field. Previous writing or marketing experience is a plus, but not required. For consideration, please apply via the link below. Please include your resume, a previous writing sample, and a cover letter, to the attention of Megan Mansmann in Marketing. "The best part of my job is having the satisfaction of knowing you've helped people through what may be one of the most difficult periods of their lives." "The people I work with are great – they are very caring and work very hard. There is always something new to learn, which keeps the job interesting." At Edgar Snyder & Associates, we want to be more than just a law firm that helps injured people – we also want to give back to the communities where we live and work. Whether it’s through sponsorships, community service projects, or volunteering, we’re proud of everything our staff has done to create our culture of giving back. And we’re thankful for all that they continue to do to support our efforts. You can learn more about our work in the community in the Giving Back section of our website. Edgar Snyder & Associates is an Equal Opportunity Employer. Thank you for your interest in the law firm of Edgar Snyder & Associates.